Do you have weak and brittle nails? Are you looking to strengthen your natural nail? 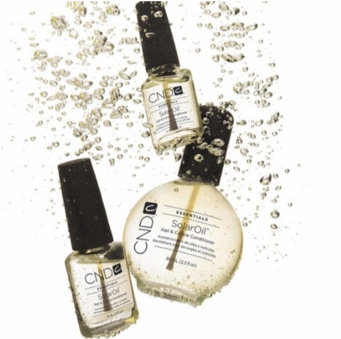 Polished is excited to be offering CND SolarOil, a cuticle conditioning treatment! This is an award winning favorite among nail professionals as well as their clients! What is CND SolarOil Exactly? 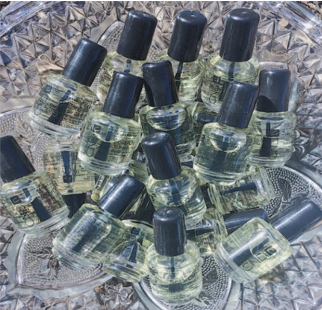 SolarOil is a light penetrating oil that is made with a natural blend of jojoba oil, sweet almond oil and vitamin E. This conditioning treatment penetrates deeply and quickly to soften cuticles and help to promote strong, flexible natural nails or nail enhancements. Why is CND SolarOil so Special? It is a synergistic blend of naturally light oils and vitamin E which offers intense therapy for dry damaged cuticles and nails. The Jojoba oil helps with the absorption of the vitamin E, so that it can penetrate deeply into the skin. These oils help to reduce the visible signs of aging and keeps hands soft and supple. CND SolarOil features a super-penetrating formula that works wonders on the nails and cuticles! With the regular use of this treatment, it will continue to help drive the oils DEEPER into your natural nail, increasing your results and benefits over time. It can also help your nails to hold color or enhancements better and for a longer period of time; your nails will feel stronger and more flexible. How do I use CND SolarOil? There are three ways that you can apply the SolarOil to your nails and cuticles. CND Solar Oil is now available at both Polished locations! Ask your nail technician any questions you may have about this product and how you can use it at home!